Most space exploration films focus on the science involved or the action by the protagonists. 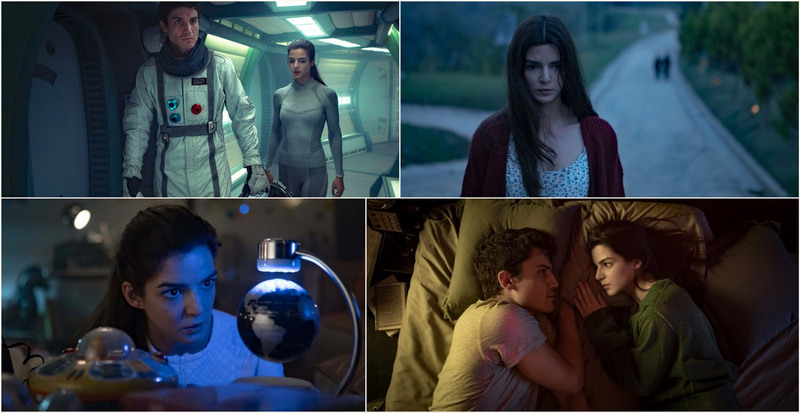 The Spanish sci-fi Orbiter 9 (2017) that came last year feels a bit different, it is about a romance between two individuals who are worlds apart, and the distance they go for each other. Helena has been living all her life aboard a spacecraft which is on a near half-a-century journey to a distant planet, which humans are planning to colonize. After her parents died a few years ago, Helena has been living alone in the spacecraft. Due to a misfunction of the Oxygen generator, a service engineer Alex comes onboard – he is the first human Helena meets after her parents – also he will be the last she will meet for next 20 years. What transpires after that first encounter forms the rest of the film. Clara Lago, the Spanish actress gives an impressive performance as Helena. In the second half, when she encounters new things for the first time, her expressions are vivid. Orbiter 9 reminded me of a miniseries Ascension (2014) I saw some time ago.